I'm not sure how I've missed only three days but I'm 4 SSJE words behind. Each of those words would take considerably more thought than I have energy for tonight. I couldn't have written much yesterday. I was already feeling very sad about some things when I heard about the Taliban shooting up a school in Preshawar, Pakistan. I'm just not sure there is anyway to put a joyful spin on something as horrific as that. There's nothing in those 4 words I could tap into for meaning of such barbaric craziness. Today's quote from gratitude.com made as much sense as anything I could come up with. Yet even those words, good as they sound, would have little meaning to 100 school children being gunned down. Does someone really think that one can be fearless in facing such atrocities is possible? As I've said before I'm no Biblical scholar, but I think that upon hearing from the 3wisemen that a new king had been born, King Herod sent his henchmen throughout the land to kill all the male children. Two thousand and 14 years later, children are still bearing the brunt of mad men's paranoia. My heart aches to think about it. One of my favorite Christmas presents to myself is reading my collection of holiday picture books. 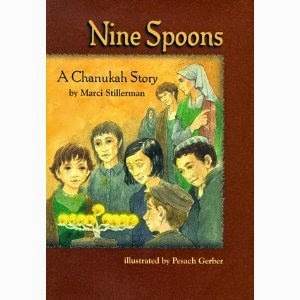 Because today is the first day of Hanukkah, I've pulled two books off the shelf that speak to the subject at hand - One Candle ( Eve Bunting) Nine Spoons (Marci Stillerman). Both stories are true accounts written about women managing to bring light and blessings into the darkest of places, German concentration camps during WWII. At the end of her book, Stillerman wrote "even in the unspeakable horror of their lives, countless Jewish men and women held on to their faith in God, and after the war went on to raise Jewish families devoted to Torah observances." Maybe faith and hope are the only antidotes to evil and suffering. I puttered around the house feeling crappy until it was time to go to my writing group's Christmas party. It turned out to be just the antidote I needed. Good food, good friends, good conversation. All of it "focused" not on a world we cannot fix but on the joy that each of us finds in exchanging good books, sharing our favorite authors' quotes, and telling stories around a table. I'd like to think that conversations between women like the ones shared last night have in some small way been the shelter from danger Tagore talks about. I think it is in the company of women, be it in a festive setting or death camp, where fearlessness is born. 'Look for the helpers. You will always find people who are helping.'" Perhaps when it comes to joy and finding light in a dark world, what we need to expand is our focus. 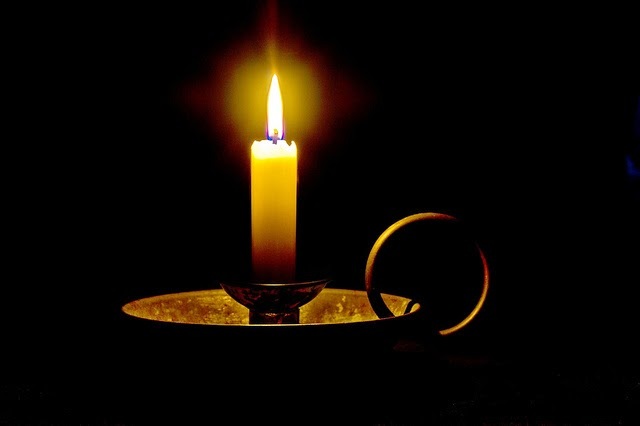 By looking for the helpers, the candle makers, the people on whom we can depend, we can experience, for a moment or a lifetime, what The Divine One has in mind for his people - to be mirrors that reflect Divine light. Perhaps the joy I'm looking for is as bright as a star in the East lighting the way for seekers and helpers. 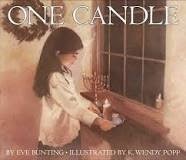 Maybe its as simple as the flickering light of just one candle. Amen! I think any people with compassion are struggling with world events these days. I know I do. I admire your reflections here Mary. Very well written! Oh, Mary - thanks for posting this. I've wondered where the outrage is. It just hurts me to think of this incident and the one in which the 4 children were beheaded. It's horrifying.